A political movement that is based on demonizing a group of people needs a demon. So the efforts of the Trump administration to generate anger and hatred toward immigrants, both documented and undocumented, has been combined with repeated claims by the administration and its supporters about the terrible burden immigration creates on the United States. Immigrants have been called rapists and murders and terrorists and have been said to be dragging down our economy and burdening citizens with higher taxes. That rhetoric has heated up as Congress struggles to pass legislation to restore the DACA program, which protects the Dreamers — undocumented immigrants brought to this country as children — from deportation. It has reached even higher levels as the Trump administration uses the debate over DACA as a bargaining chip to win Congressional support for a border wall with Mexico and radical changes to immigration policy. Most of those claims have been rebutted, time and again. It is not clear how effective facts can be in tempering hatred. But we intend to do our part by putting the truth before Pennsylvanians. Legislation rushed to the finish line in an election year is notorious for being both badly crafted and motivated by less than pristine motives. And that certainly goes for HB 1885, the anti-sanctuary city bill passed by the House recently and currently under consideration in the Senate this week. 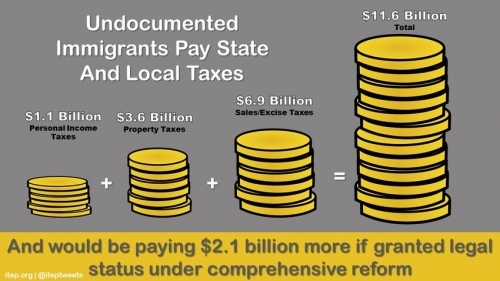 There is a lot wrong with the bill, starting with the intention of its sponsors to appeal to the anti-immigrant voters whose ire has been inflamed by Donald Trump and continuing on to its likely consequence of leading to racial profiling that undermines police-community relationships, and thus effective policing, in (documented and undocumented) immigrant communities. But here I want to focus on the potential economic costs of the bill to the counties and cities of Pennsylvania—costs that have been barely considered in the fast-track legislative debate on it. The House Fiscal Note on the bill does not even try to identify, let alone estimate, these potential costs. 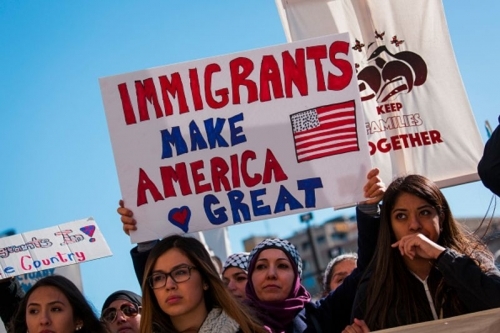 Immigration has been a hot-button topic on the campaign trail this year, and it will continue to be as the Supreme Court hears arguments in the coming months regarding President Obama’s recent immigration executive action. Last week President Obama announced that he will use the power of the executive office to shield millions of people from deportation and give them authorization to work. The President's action is a positive step forward. Recent college graduates seeking jobs are finding more competition from across the globe. American companies are cutting costs and raising revenues by employing international workers, Nancy Folbre, a University of Massachusetts economics professor, explains at the New York Times' Economix Blog. This week at Third and State, we blogged about mounting job losses among teachers and other public-sector workers, immigrants contributing to the state's economy as small business owners, House amendments to a state budget bill, the latest Independent Fiscal Office revenue estimate, liquor privatization and more. On education, jobs and the economy, Chris Lilienthal blogged about a New York Times editorial this week on teacher job losses across the nation and highlighted Pennsylvania's public-sector job losses so far in 2012. On immigration, Mark Price wrote about a new report showing that an increasing share of small business owners in Pennsylvania and the nation are immigrants. On the state budget, Michael Wood shared his overview of House amendments to the budget bill. 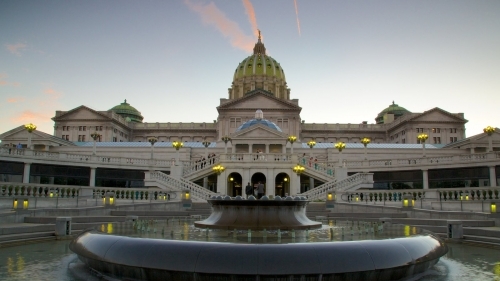 Mike also blogged about the revenue estimate released this week by the Independent Fiscal Office, showing that Pennsylvania will take in $626 million more in 2011-12 and 2012-13 than the Corbett administration anticipated in February. On privatization, Stephen Herzenberg summed up the Keystone Research Center's analysis of an effort to privatize Pennsylvania's liquor stores, which is likely to have significant negative impacts on the state’s fiscal and public health. Later in the week, Mark Price had an update on the liquor privatization debate, which stalled in the state House but is scheduled to begin again on Monday. On property taxes, Michael Wood blogged about voter rejection of a plan to eliminate property taxes in North Dakota and what that could mean for a similar plan in Pennsylvania. An increasing share of small business owners in Pennsylvania and the nation are immigrants, according to a new report from the Fiscal Policy Institute’s Immigration Research Initiative. The report breaks new ground by using Census data (including the results of a previously unpublished Survey of Business Owners) to study people who own an incorporated business and whose main job is to run that business.